An exciting opportunity has arisen to join the safeguarding directorate of a national charity. We believe that safeguarding is everyone’s business and is integral to the culture, mission and structures of the Church. 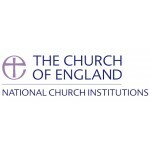 The National Safeguarding Team (NST) provides professional safeguarding advice to the Church of England on matters of national policy as part of its wider transformation plan, which includes the development and implementation of national training, quality assurance and audit, and work with survivors of abuse. The NST also leads complex casework and supports dioceses in their safeguarding of children and adults. In this key role, you will be responsible for providing administrative support to the National Safeguarding Team. A key part of your role will be organising and minuting a range of meetings, including those relating to safeguarding case work. This will include communicating effectively with a wide range of internal and external stakeholders. As the first point of contact, you will be able to provide professional, polite and helpful responses to all internal and external queries. In addition, you will provide diary management and coordination for senior managers. The ability to work on your own initiative, have a professional and positive outlook and the flexibility to support the team to deliver an outstanding service is essential to being successful in this post. It is also essential that you are experienced in diary management, minute taking and meeting organisation. If successful, you will be motivated and available to join us quickly, subject to a basic DBS check. Provide diary management and administrative support to the National Safeguarding Team’ (NST) including senior managers. Provide administrative support and take formal minutes for core groups, working groups and other meetings led by the NST. Organise team, internal and external meetings including diary co-ordination, room bookings, catering arrangements and collation of necessary papers. Supporting the Office Manager with the organisation of larger NST events. Manage correspondence by responding to general email queries and logging post. Order stationery supplies as needed. Ensure filing systems are adhered to and all filing is kept up to date. This includes sending archives to the records centre. Create and monitor surveys using web-based systems such as SurveyMonkey. Maintain distribution lists via Excel and Outlook for the NST, using services such as Mail Chimp to send regular newsletters to key stakeholders. Act as an initial point of contact for the safeguarding team, including visitors to the team and handling calls from survivors and safeguarding professionals, ensuring that such calls are responded to appropriately and recorded. Supporting team members to prepare expenses as necessary. Provide administrative support to the co-ordination and delivery of national training modules as part of the implementation of a national learning and development framework. Provide administrative support to Senior Casework Manager and Caseworkers including the setting up and minuting of case related core groups. Assist the caseworkers with the casework management system. Any other duties as required by the line manager commensurate with the post. To work positively and inclusively as part of the team and take a proactive approach to personal development. High level of initiative and ability to work independently and prioritise workload. Ability to build and maintain relationships with external individuals and organisations. Ability to work in a team within a pressured environment, working to tight deadlines.